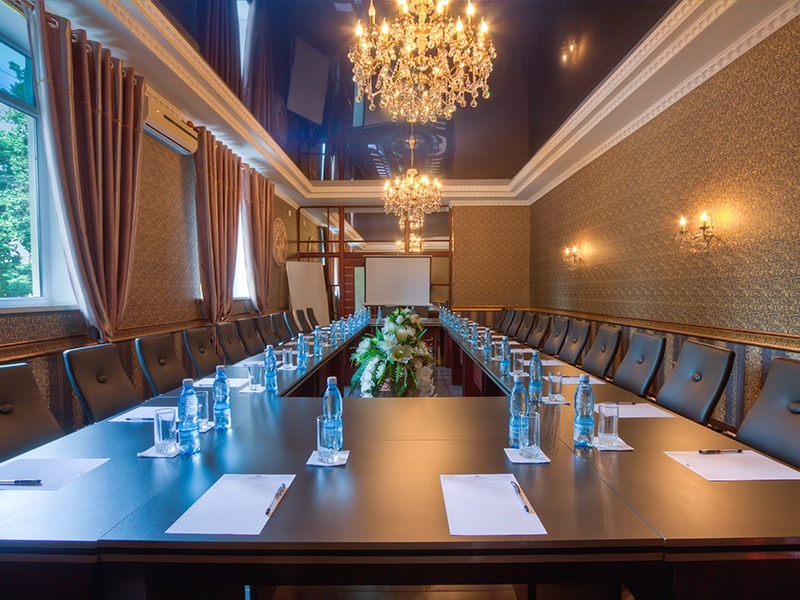 Grand Hotel has the honor to offer you its services in organizing conferences, holding seminars and business meetings. We come individually to the organization of each event, which creates favorable conditions that meet your requirements. 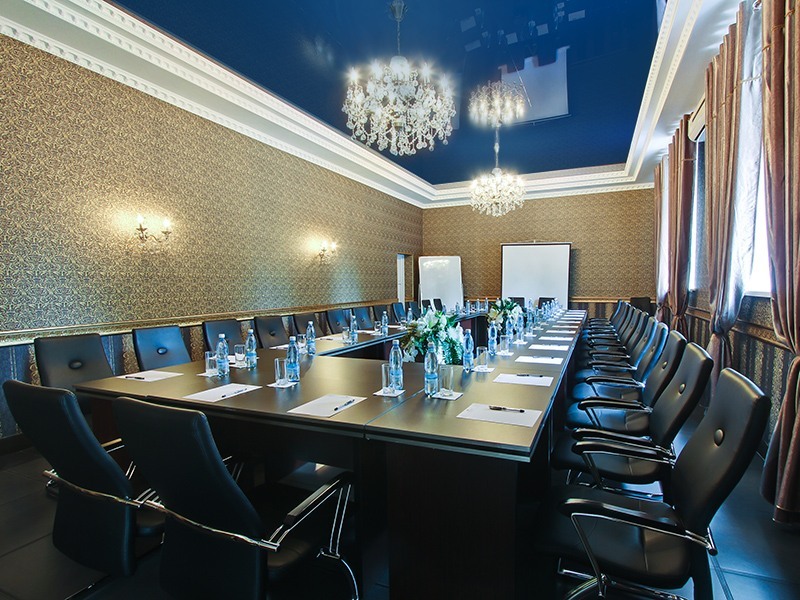 Our hotel is often trusted to hold responsible events and meetings at the highest level. 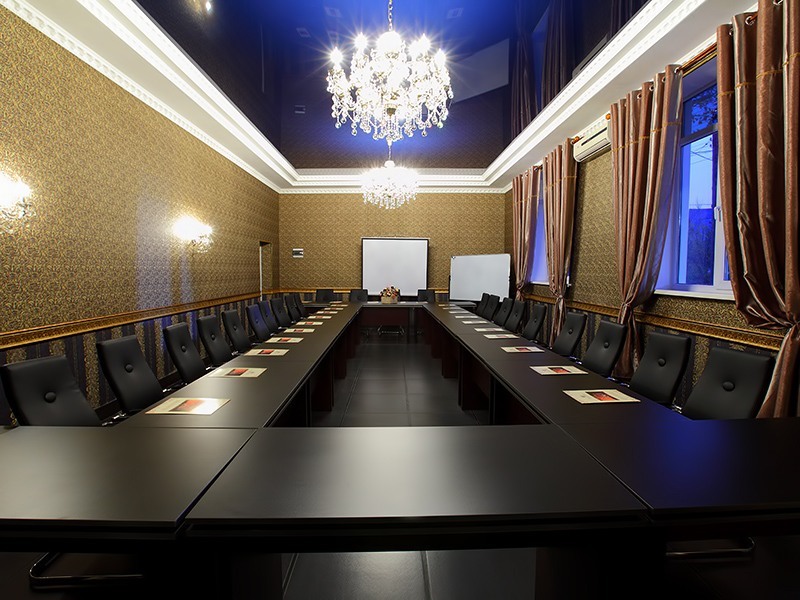 The hotel’s conference room is equipped with built-in screens and a projector, Wi-Fi is available throughout the hotel. 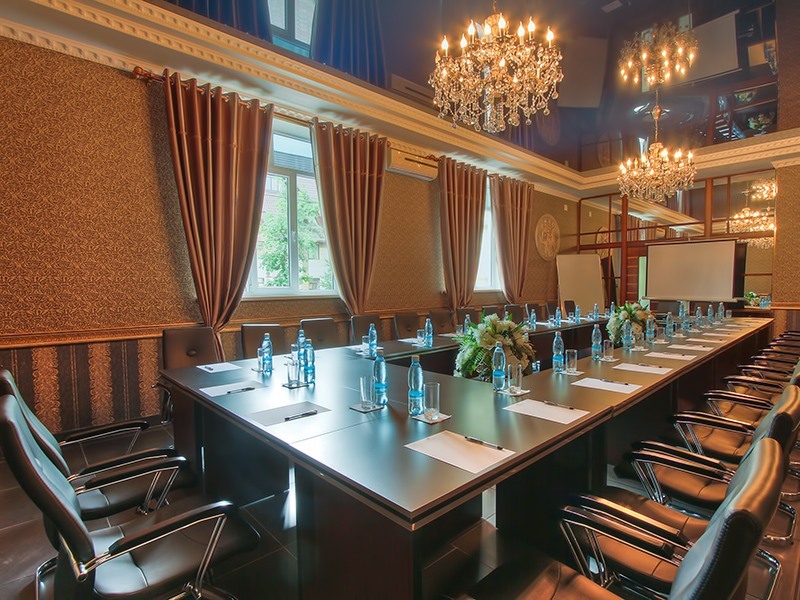 The conference hall is designed for 40 people, the area is 50 sq.m. (5m x 10m). The Conference Hall rent includes: projector, screen, flipchart board + paper, markers, paper, pens, internet, 1 bottle of mineral water to each participant 0.5L.